The Full Moon in Aquarius on August 18, 2016, reflects the current instability in our world. Individual needs conflict with social realities as the self-centered Leo Sun opposes the group-oriented Aquarius Moon. However, this Full Moon is also a partial Lunar Eclipse -- the first in a series of eclipses that will turn politics upside-down and shift the trajectories of our lives. This eclipse is particularly intriguing because the shadow of the Earth just grazes the Moon, causing some to question its eclipse status (you might see it referred to as an "almost" eclipse). At a Lunar Eclipse, something from the past is brought back into awareness before we must let it go. This Full Moon also forms a supportive sextile to Uranus, the Awakener. We are poised to receive information that alters the way we view the world, our relationships, and ourselves. But whatever we learn during this time is more than just intellectual data. Valuable Venus trines perceptive Pluto, drawing us into the shadows and revealing the darker side of the truth. Mental Mercury also aligns with expansive Jupiter, widening our field of vision and enabling us to see the facts from a more universal perspective. However, a pair of awkward aspects requires us to make adjustments if we push our personal agendas too hard. The cosmic energy is coming at us hard and fast, yet it's up to each of us to integrate the current experiences and move with the changes the best we can. You might think you haven't done enough work, but there is only one more hurdle to jump before you are given the green light on the road to your destination. The Aquarius Full Moon activates your 11th House of Long-Term Goals, urging you to envision the future and the steps you will need to take to make your dreams come true. However, you may feel stifled as forceful Mars inches closer to tough-guy Saturn. Nevertheless, hard work and brutal honesty are the tools necessary for your success. Stand up to the pressure and you will be granted a hard-earned victory sooner than you expect. It appears as if someone is pushing you to take on additional responsibilities. Don't promise more than you can deliver now, even if you are willing to sacrifice some playtime to fulfill your obligations. Social demands may trigger your desire to retreat from the crowd. 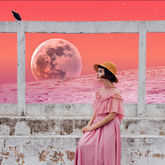 But it's nearly impossible to remain isolated when the Aquarius Full Moon draws your energy from the subjective personal realms into your 10th House of Public Life, where you are more concerned with the objective issues of community and career. As George Eliot wrote, "It is never too late to be what you might have been." Old fantasies are being washed away to make room for new dreams. The detached Aquarius Full Moon Eclipse shakes up your 9th House of Higher Truth, reminding you that enthusiasm doesn't necessarily alter reality. Your patterns of perception are changing; being more skeptical isn't a turn toward cynicism, but breaking with outdated ideas makes way for a fresh view of the world. Thankfully, responsibilities that previously held you back are now relaxing their grip. Don't rush your first steps on your journey or you will be required to repeat them in the days ahead. You're capable of setting your pride aside so you can talk about your needs. Fortunately, the Aquarius Full Moon lands in your 8th House of Intimacy, encouraging you to reveal your heart as you strive to express your individuality. Although this is likely the beginning of a more outgoing cycle for you Crabs, emotional tension boils over if you try to ignore your true feelings. Fear of change might be prompting you to overreact, but burying your head in the sand is not helpful. Adaptability in the face of adversity is your greatest ally. Don't try to overcome a sudden cooling of interest from a person you admire by being too aggressive in your approach. The Aquarius Full Moon Eclipse in your 7th House of Partnerships can trigger unexpected behavior from a lover or a close friend. Or maybe you need to step back and look at things from a different angle to add more excitement to the relationship. Unfortunately, digging in your heels is not the answer; letting go of control is a must. Persistence, one of your greatest strengths, might actually be a weakness now. Pride is the longest distance between two people. You understand the consequences of a recent decision and realize that you cannot turn back from the choices you already made. The Aquarius Full Moon in your 6th House of Health can overwhelm you with a wide variety of different options about your daily routines. In fact, your emotions may be so strong that any lingering doubt about the intensity of these times quickly vanishes. Although you might be tempted to do something crazy for fast results, self-restraint and self-respect are the greatest gifts you can give yourself at this time. You have run out of patience when it comes to people breaking promises, yet you might be ready to break a few of your own. 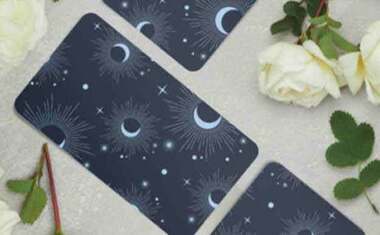 The unconventional Aquarius Full Moon falls in your 5th House of Self-Expression, bringing out the quirky and playful side of your personality. Your craving for fun and attention is hard to ignore, possibly creating tension with your desire for privacy. But you have the right to take center stage, and then retreat when you so choose. It's fine to shine in the spotlight on occasion as long as you have an exit strategy in place. You might not fully understand what's unfolding on the home front now. However, once you accept that the emotional dynamics are beyond rational analysis, you'll be able to glean important lessons from your experience. The quirky Aquarius Full Moon Eclipse sinks into your 4th House of Foundations, surrounding you with a complicated array of alternatives. You intuitively know everything will work out fine, but frustration may take a few more days to play out as Mars moves toward its conjunction with uncompromising Saturn. Don't give up; it is often the last key on the ring that opens the door. It's gratifying to be right, but avoid getting caught up in philosophical disputes where one side has to be the winner and the other side the loser. Nevertheless, the Aquarius Full Moon inspires your 3rd House of Information, encouraging you to ask tough questions and seek honest answers. Just remember, opinions are just ideas attached to a belief. Sharing your thoughts without taking yourself too seriously produces the best results. Buddha said, "The root of suffering is attachment." You may discover discrepancies with joint finances when the independent Aquarius Full Moon rattles your 2nd House of Money. Your problem might be as simple as feeling annoyed if someone is too careless with cash for your taste. Nevertheless, it's important to keep your reaction in check since an irritating Moon-Jupiter aspect possibly tricks you into believing you discovered a quick fix to the monetary crisis. Deviating from a budget can drain your resources, leaving you overspent in more ways than one. Saving money saves energy. Melodrama runs rampant while the Aquarius Lunar Eclipse polarizes your sign. 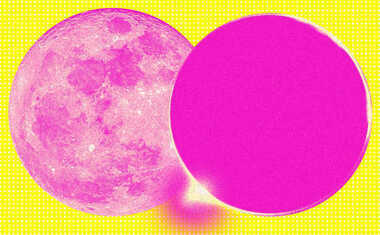 This overstimulating Full Moon occurs in your 1st House of Personality, drawing your emotions very close to the surface. Others can see past your apparent detachment now. Your discomfort in dealing with your feelings could turn your frustration into anger as hot Mars moves to conjunct cold Saturn next week. As Tom Petty sings, "The waiting is the hardest part." Make sure to utilize your wicked sense of humor as often as possible. You want to break free from the past and apply your vision to a higher cause when you are coaxed to express your feelings more openly. Your lifelong pursuit of spiritual meaning is reinvigorated as the cosmos delivers you an inspirational message. However, you might be tempted to run away from the monotony of your daily tasks now. Although the rebellious Aquarius Full Moon rattles your 12th House of Secrets, escaping is not a viable long-term solution. A head full of fears has no space for dreams.